I’m a full-time programmer who had an instant fascination with computers as a kid. In the mid 80s, surrounded by the technology of the day I soaked up what I could. By the time I was a teenager I had an Amiga and was inspired by games and the demoscene. I got on this path through recreational programming, wanting to emulate what I saw. One thing rings as true now as it did then. I want to make the computer dance. Needing to use MS-DOS based tools for college I reluctantly switched to the PC from the Amiga, and got a job programming straight from college. My roles over the years have given, and continue to give me a wide experience of programming languages and technologies, primarily with C++. I intermittently tinkered with various projects over the years in my spare time using a variety of APIs but shied away from full-blown game engines. The page Why Monogame? explains in more detail why I think it’s the best tool for me. I have a bucket list of projects from fun experiments to games, and graphical programs. This blog exists to keep me focused and share my adventures. I like music, and being away from a desk exploring the wilderness. Music, the outdoors and nature will be strong themes. Birch Grove is an ideal, a thematic device, evocative of a serene natural environment, for a new beginning. Canopy is the inner sanctum. Imagine a home office pod or homely shack looking out on a beautiful garden surrounded by trees. The following definitions might give better context. Living in or, related to trees. 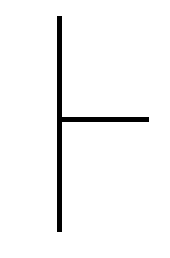 The first letter of the Ogham tree alphabet.The symbol for Beith is which represents the Birch tree. The Pioneer tree, often the first to colonise new land. Beith/Birch is the first tree in the 13 Month Lunar Celtic Tree Calendar where it symbolises new beginnings and is linked to birth and new life. A canopy made of canvas to shelter people or things from rain or sun. The uppermost branches of the trees in a forest, forming a more or less continuous layer of foliage. A detailed written study of a single specialized subject or an aspect of it. The coincidence with MonoGame is intentional, even though mono has different meanings in the context of each.